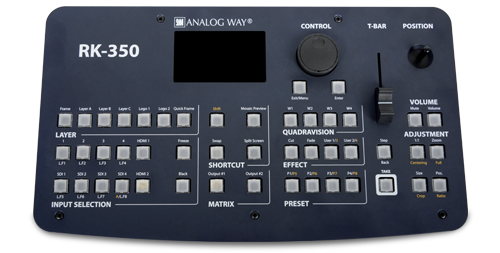 Remote control keypad designed to control Midra™ Series seamless switchers. 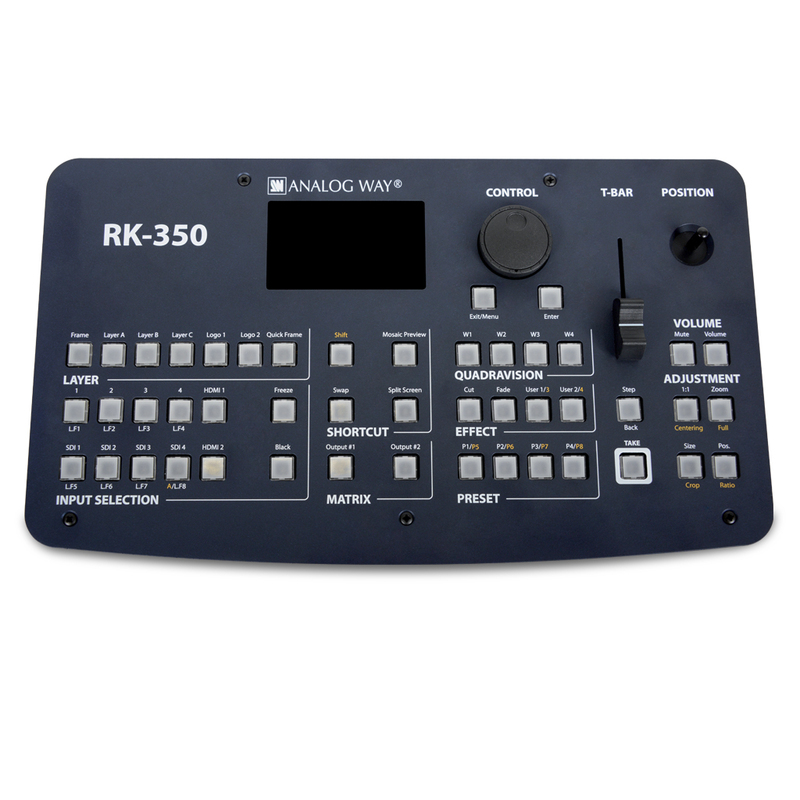 The RK-350 is an ergonomic and compact solution designed to operate your Midra™ series remotely with ease and comfort. 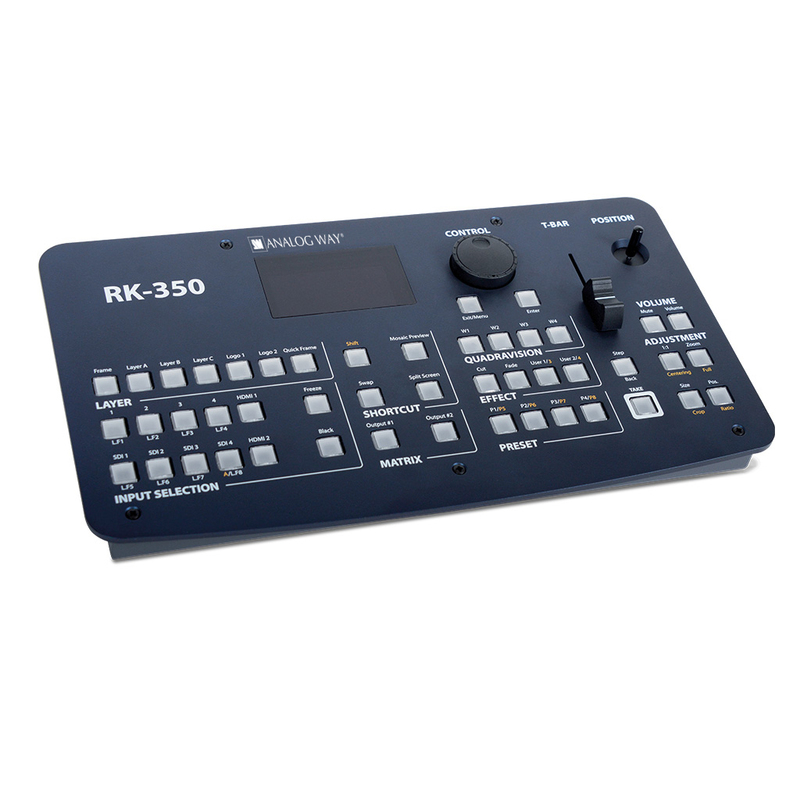 Thanks to a comprehensive set of physical key buttons and menus, the RK-350 gives instant access to all your switcher’s functions. 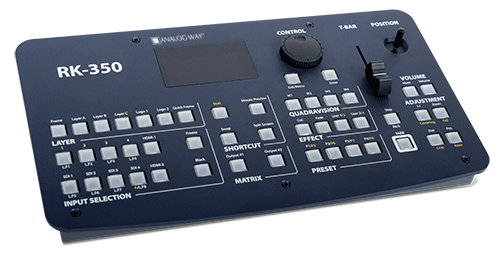 It also embeds a joystick for layer positioning/sizing and a T-Bar for manual smooth transitions. When the 17th FINA World Championships and World Masters Championships, the biennial aquatics and water sports competitions, were staged in Budapest, Hungary, an array of Analog Way AV processors made a splash managing multiple LED screens in different locations through a single system.